Here you will find all exhibitors who offer products and services for small bakeries and confectioneries. Alptekin Makine Isı San.Tic.A.Ş., we are in food industrial business since 1980 and for about the last 38 years our company has produced a wide range of bakery equipment. Alptekin Group has a strong corporate structure that ensures a high level-efficiency and employs only latest advanced technology. Food processing machines are of a very high quality, purpose-designed and provide one 100% efficiency. We offer 24-hour after sales technical service and training. BackTech SAM develops and produce innovative machines and systems for dough processing, mainly dough dividers and moulding systems, moulding stations and proving systems. 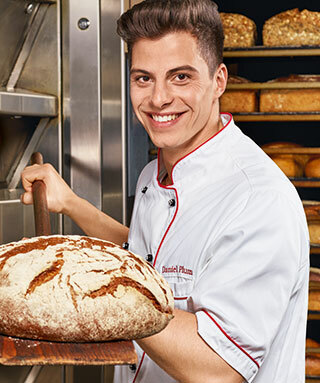 BackTech SAM supplies bakeries world-wide, from small bakeries to industry bakers. In 2016, Back-Tech Austria and SAM Bakery Technology merged to form the current company, with more than 25 years of experience and worldwide references.